Screech joined the Jr Blackhawks in 2017 and was immediately a hit with everyone including the opposing teams! He brings a positive attitude to every game and even causes some mischief every so often just to keep things entertaining. Be on the lookout on game day as you never know if he will be circulating in the stands, be on the sideline throwing his own flag on the Ref's or cheering with the cheerleaders. JV Head Football Coach is Jonathan Hanson. Jon played high school football, and started coaching with us in the 2016 season and was Head Coach of the Freshman team in 2017. 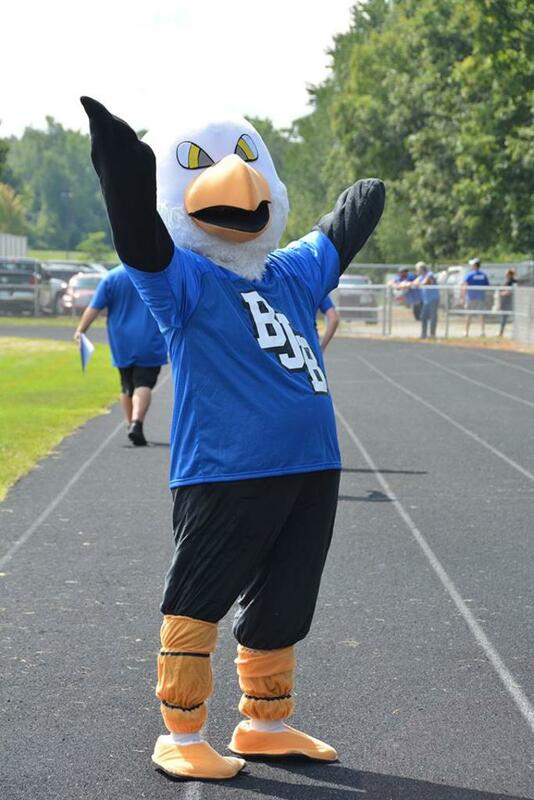 He lives and breathes BJB football and is looking forward to leading the JV team in 2018. Josh Norris is an assistant JV Coach. Husband, Dad of 3, Entrepreneur, Master Plumber. Josh started coaching with the Brandon Junior Blackhawks in the 2013 season and was JV Head Coach in the 2016 & 2017 seasons, He is a great leader and is well liked by all the kids. Reggie is our Freshman Head Coach, He is a Husband, father of 2 and is self employed. He joined BJB in 2017 and is looking forward to assuming the Head Coach position this season. Jake is a Freshman Assistant Coach, Husband and father of 3. He joined BJB in 2017 as an assistant coach and was elected to the Board of Directors in 2018. Megan is our Freshman Cheer Head Coach. Coaches and Parents: Changing the Culture of Concussion Starts With You! The University of Michigan is one of only a handful of comprehensive programs in the country dedicated to the neurological concerns of athletes. By drawing on the resources in the health system as well as the rich athletic tradition of a historic NCAA program, we specialize in the treatment and prevention of neurological sports injuries, as well as the management of primary neurological diseases that affect athletic performance. The Brandon Jr Blackhawks in congruence with NYFL policy is required to secure criminal history information as part of its screening process for all volunteer coaches to maintain athlete safety while participating in the Brandon Jr Blackhawks, anyone convicted of a felony or misdemeanor criminal sexual offence will not be permitted to volunteer.